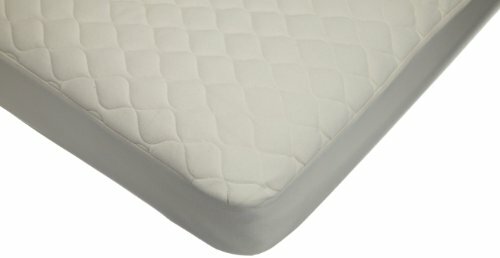 Our crib mattress cover features a top layer made with organic cotton; middle layer is quilted with breathable 100% polyester and the back layer is made with knitted polyester laminated to waterproof/breathable TPU film to protect from any water spills or bed-wetting. This cover measures 28″ x 52″ x 9″. Machine washed cold with like colors, mild detergent, gentle cycle and use non chlorine bleach when needed.